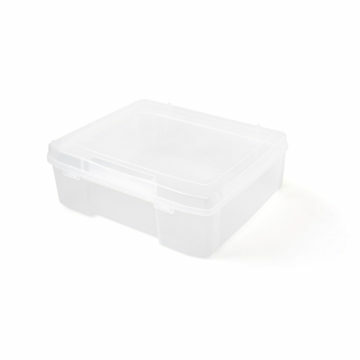 Briefcase can attach or store inside. 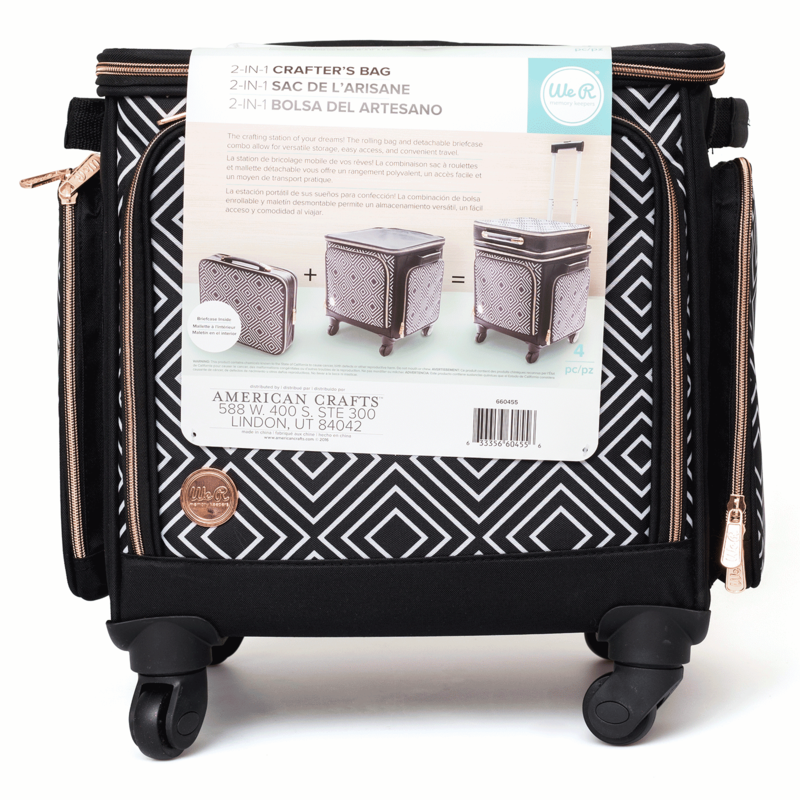 The crafting station of your dreams! The rolling bag and detachable briefcase allow for versatile storage, easy access, and convenient travel. 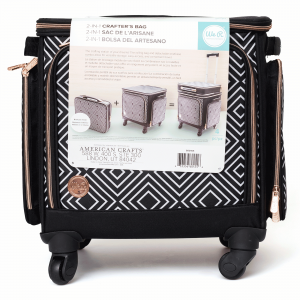 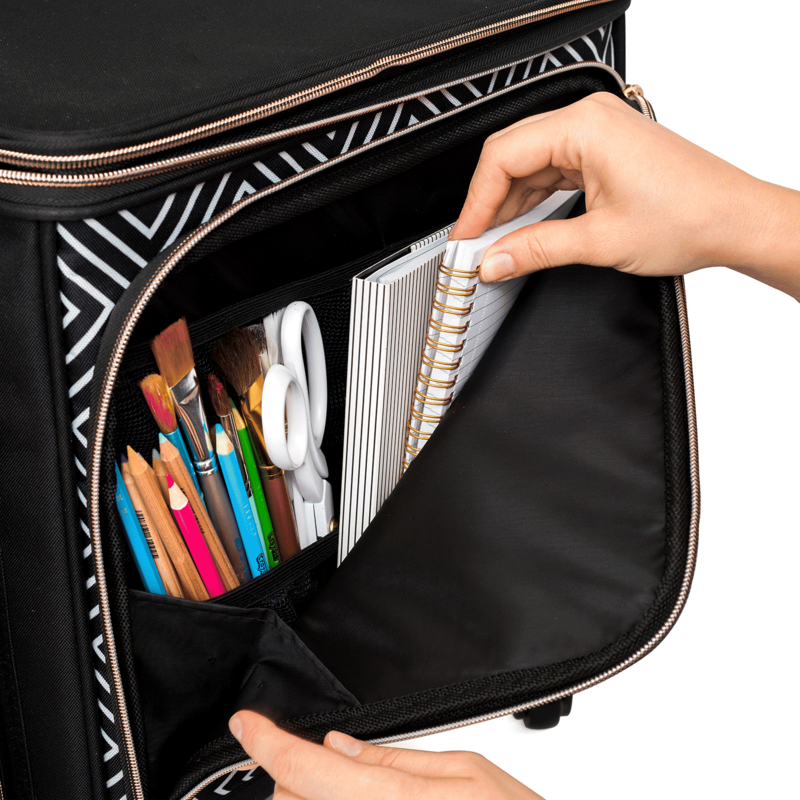 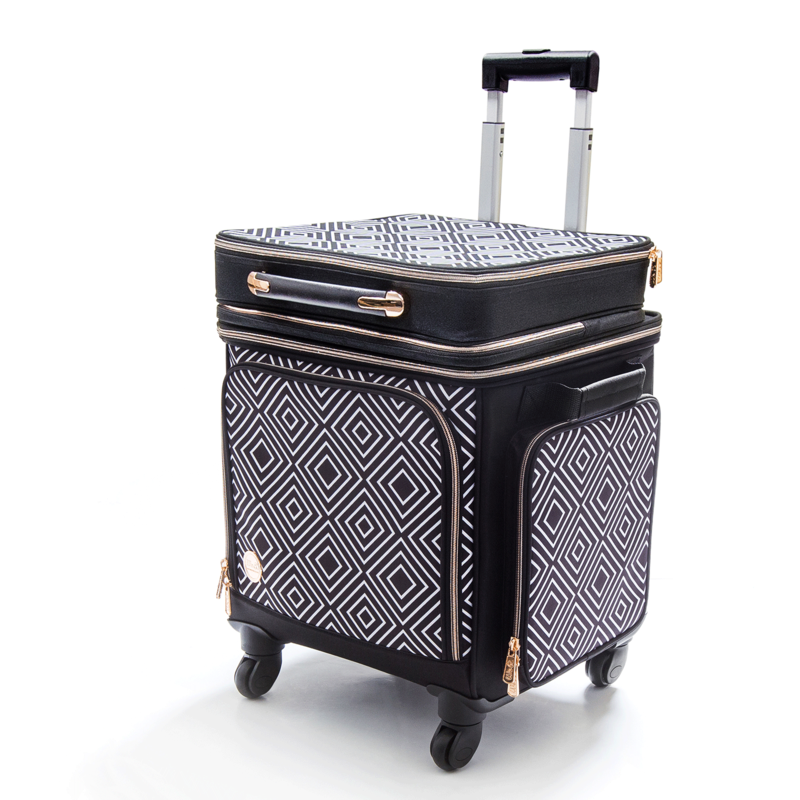 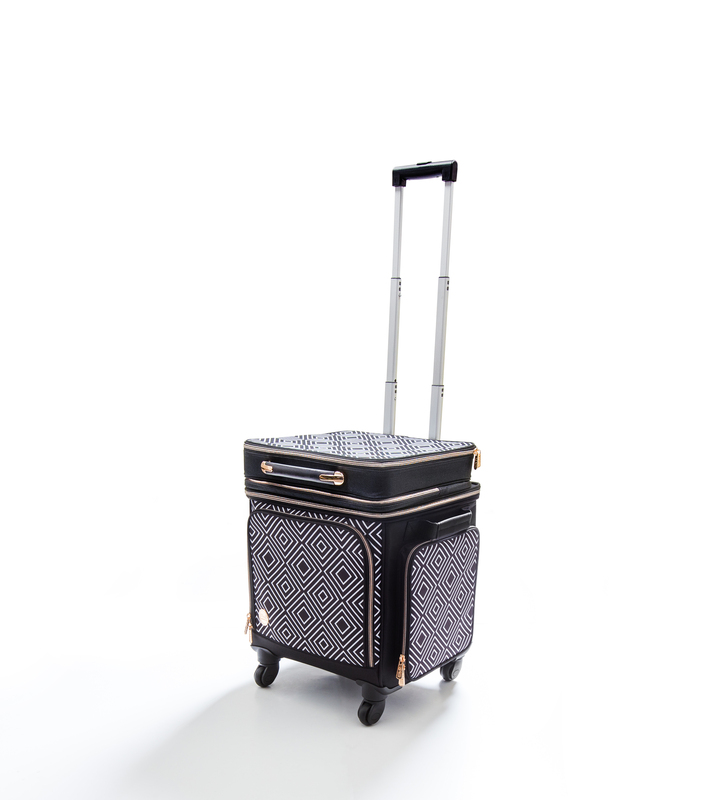 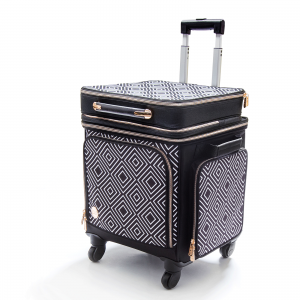 2 In 1 Crafters 360 Rolling Bag With Detachable Briefcase: Black And White Geometric Print. 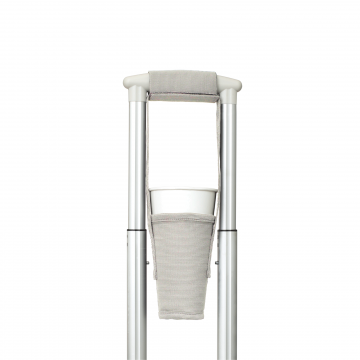 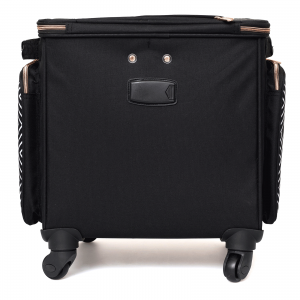 This rolling bag and detachable briefcase combo allows for versatile storage, easy access and convenient travel. 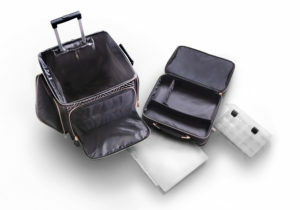 The detachable briefcase fits inside the rolling bag. 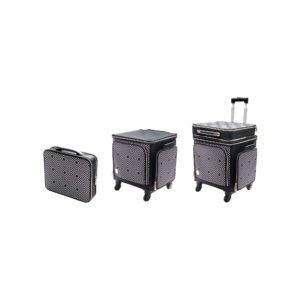 This package contains one 17×17-1/2×15 inch rolling bag with 360 degree roller wheels, telescoping handle, and multi sizes mesh pockets and one 12-3/4×15-1/2×4 inch detachable briefcase with adjustable compartments, embellishment storage box and one 12×12 inch accordion file folder.